45. We’re doing all right as it is. First, do you have evidence for that, or are you in denial? It’s easy to not want to change because it’ll be hard, so it’s easier to say that things are OK. It is particularly easy if you aren’t really checking! L&D, for instance, has been notoriously bad about seeing whether their interventions are actually achieving any impact (around 3% reporting that they actually go to level 4 on Kirkpatrick’s scale). If you are checking, what are your benchmarks? Are you measuring just execution, or are you including innovation? Because, as I’ve said before, optimal execution is only going to let you survive, to thrive you’ll need continual innovation. If you’re doing what your strategy says, are you looking out for disruptive forces, and creating your own? You should be checking to see if you’re striking that balance of being able agile enough as well as productive enough. Finally, is “all right” really good enough? Shouldn’t we be shooting for the best, not just good enough? Do you think your competitors are sitting complacent? We really should be looking for every edge. That doesn’t come from believing we’re doing all right. We should be looking for continual improvement. Yes, it’s harder to not believe we’re doing all right as it is, but your curiosity should be driving you forward regardless. Your organization, if it isn’t continually learning, is declining. Are you really doing all right? If you’re definition of ‘all right’ is that you are continually curious and moving forward with experimentation, then I reckon so. Finally! 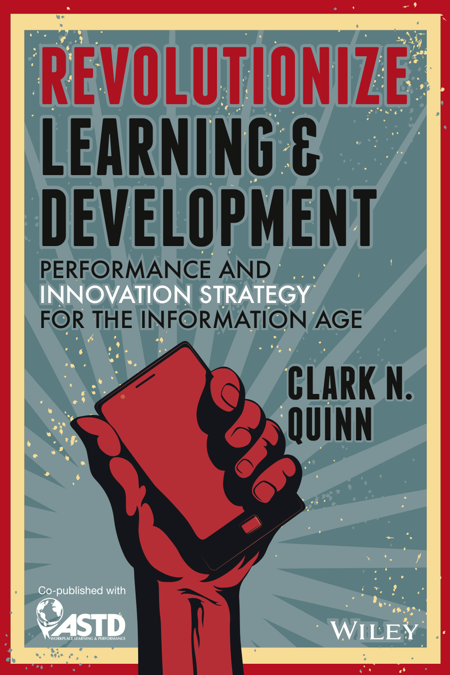 Revolutionize Learning & Development (Performance and Innovation Strategy for the Information Age) is now shipping, (and has been available on Kindle for a couple of weeks), so at last you should be able to get your mitts on it if you’re so inclined. And, if you’re at all involved in trying to make your organization successful, I will immodestly suggest you might want to be so inclined. Just as background, it documents my claim that organizational L&D isn’t doing what it could and should be doing, and what it is doing, it is doing badly. Then it lays out elements that should be considered, what it would look like if it were going well, and how you might get there. While the exact strategy for any one organization will be dependent on where they are and the nature of the business, there are some frameworks to help you apply those to your business. The goal is to move to Performance & Development, coupling optimal execution with continual innovation. So, check it out, and see if it makes sense to you. Or you can just go ahead and get it. I hope to see you in DC, and welcome your feedback! Neil Jacobstein gave the keynote for the special Future of Talent event sponsored by SAP and hosted by the Churchill Club. In a wide ranging and inspiring talk, Neil covered how new technologies, models, and methods provide opportunities to transcend our problems and create a world worth living in. In a conversation, a colleague mentioned using social tools to minimize friction, and the thought struck me wrong. In thinking further, I realized that there were different notions of friction that needed to be teased out. So here’s where my thinking went. I argue that what organizations need is creative friction. I have previously suggested that conversations are the engine of business. These are the discussions where ideas are sparked, and decisions are made. These are also the tools used to negotiate a new and shared understanding that is richer and better than it was before. There are also unproductive conversations, e.g. meetings where we have status updates that are more effectively done offline, and jockeying for various sorts of recognition. These are reflections of bad processes and worse culture. There’s a mistaken view that brainstorming doesn’t work; it works well if you know the important elements that make it work, but if you follow misunderstood processes, it can not produce the optimal outcome. Similarly, if the culture is misaligned, it might be unsafe to share, or folks might be too busy competing. However, it is when people are constructively interacting – not just pointing to useful resources or answering questions, but working together on a joint project – is when you are getting the important creative friction. Not that it’s bad when people point to useful resources or answer questions, that makes things more efficient. When folks come with different ideas, though, and jointly create a new insight, a new idea, a new product or process, that is when you’re providing the sparks necessary to help organizations succeed. Not all of them will be good, but if they’re new, some subset will likely be good. If people aren’t sharing what they learn and discover, you might miss the new, or it might not really be new but have been previously discovered and not leveraged. That’s why you should work, and learn, out loud. The issue then in friction is removing unproductive friction. If people have to be co-located to have these conversations, or don’t have tools to express their understandings and share their thoughts around each other’s work is when you unproductive barriers. I’m a fan of collaborative documents that support annotation and track contributions. Here we can share our ideas, and quickly converge on the elements of disagreement and resolve them. It may need to have periods of synchronous conversation as well as asynchronous work (we did this when creating the Manifesto). So it seems to me that having the right culture, tools, and skills is the key to optimizing the innovative outcomes that will drive sustainability for organizations. Now how about some creative inputs to refine and improve this? Towards Maturity is a UK-based but global initiative looking at organizations use of technology for learning. While not as well known in the US, they’ve been conducting research benchmarking on what organizations are doing and trying to provide guidance as well. I even put their model as an appendix in the forthcoming book on reforming L&D. So I was intrigued to see the new report they have just released. The report, a survey of 2000 folks in a variety of positions in organizations, asks what they think about elearning, in a variety of ways. The report covers a variety of aspects of how people learn: when, where, how, and their opinion of elearning. The report is done in an appealing infographic-like style as well. This is indicative of a big disconnect between L&D and the people they serve. This is why we need the revolution! There’s lots more interesting stuff in this report, so I strongly recommend you check it out. As preface, I used to teach interface design. My passion was still learning technology (and has been since I saw the connection as an undergraduate and designed my own major), but there’re strong links between the two fields in terms of design for humans. My PhD advisor was a guru of interface design and the thought was “any student of his should be able to teach interface design”. And so it turned out. So interface design continues to be an interest of mine, and I recognize the importance. More so on mobile, where there are limitations on interface real estate, so more cleverness may be required. Stephen Hoober, who I had the pleasure of sharing a stage with at an eLearning Guild conference, is a notable UI design expert with a speciality in mobile. He had previously conducted a research project examining how people actually hold their phones, as opposed to anecdotes. The Guild’s Research Director, Patti Schank, obviously thought this interesting enough to extend, because they’ve jointly published the results of the initial report and subsequent research into tablets as well. And the results are important. The biggest result, for me, is that people tend to use phones while standing and walking, and tablets while sitting. While you can hold a tablet with two hands and type, it’s hard. The point is to design for supported use with a tablet, but for handheld use with a phone. Which actually does imply different design principles. The report goes into more details, about just how people hold it in their hands (one handed w/ thumb, one hand holding, one hand touching, two hands with two thumbs, etc), and the proportion of each. This has impact on where on the screen you put information and interaction elements. Another point is the importance of the center for information and the periphery for interaction, yet users are more accurate at the center, so you need to make your periphery targets larger and easier to hit. Seemingly obvious, but somehow obviousness doesn’t seem to hold in too much of design! There is a wealth of other recommendations scattered throughout the report, with specifics for phones, small and large tablets, etc, as well as major takeaways. For example the implication from the fact that tablets are often supported means that more consideration of font size is needed than you’d expect! The report is freely available on the Guild site in the Research Library (under the Content>Research menu). Just in time for mLearnCon! Can we jumpstart new tech usage? It’s a well-known phenomena that new technologies get used in the same ways as old technologies until their new capabilities emerge. And this is understandable, if a little disappointing. The question is, can we do better? I’d certainly like to believe so! And a conversation on twitter led me to try to make the case. So, to start with, you have to understand the concept of affordances, at least at a simple level. The notion is that objects in the world support certain action owing to the innate characteristics of the object (flat horizontal surfaces support placing things on them, levers afford pushing and pulling, etc). Similarly, interface objects can imply their capabilities (buttons for clicking, sliders for sliding). They can be conveyed by visual similarity to familiar real-world objects, or be completely new (e.g. a cursor). One of the important concepts is whether the affordance is ‘hidden’ or not. So, for instance, on iOS you can have meaningful differences between one, two, three, and even four-fingered swipes. Unless someone tells you about it, however, or you discover it randomly (unlikely), you’re not likely to know it. And there’re now so many that they’re hard to remember. There are many deep arguments about affordances, and they’re likely important but they can seem like ‘angels dancing on the head of a pin’ arguments, so I’ll leave it at this. The point here being that technologies have affordances. So, for example, email allows you to transmit text communications asynchronously to a set group of recipients. And the question is, can we anticipate and leverage the properties and skip (or minimize) the stumbling beginnings. Let me use an example. Remember the Virtual Worlds bubble? Around 2003, immersive learning environments were emerging (one of my former bosses went to work for a company). And around 2006-2009 they were quite the coming thing, and there was a lot of excitement that they were going to be the solution. Everyone would be using them to conduct business, and folks would work from desktops connecting to everyone else. Let me ask: where are they now? The Gartner Hype Cycle talks about the ‘Peak of Inflated Expectations’ and then the ‘Trough of Disillusionment’, followed by the ‘Slope of Enlightenment’ until you reach the ‘Plateau of Productivity’ (such vibrant language!). And what I want to suggest is that the slope up is where we realize the real meaningful affordances that the technology provides. So I tried to document the affordances and figure out what the core capabilities were. It seemed that Virtual Worlds really supported two main points: being inherently 3D and being social. Which are important components, no argument. On the other hand, they had two types of overhead, the cognitive load of learning them, and the technological load of supporting them. Which means that their natural niche would be where 3D would be inherently valuable (e.g. spatial models or settings, such as refineries where you wanted track flows), and where social would also be critical (e.g. mentoring). Otherwise there were lower-cost ways to do either one alone. Thus, my prediction would be that those would be the types of applications that’d be seen after the bubble burst and we’d traversed the trough. And, as far as I know, I got it right. Similarly, with mobile, I tried to find the core opportunities. And this led to the models in the Designing mLearning book. Of course, there’s a catch. I note that my understanding of the capabilities of tablets has evolved, for instance. Heck, if I could accurately predict all the capabilities and uses of a technology, I would be running venture capital. That said, I think that I can, and more importantly, we can, make a good initial stab. Sure, we’ll miss some things (I’m not sure I could’ve predicted the boon that Twitter has become), but I think we can do better than we have. That’s my claim, and I’m sticking to it (until proved wrong, at least ;). The death of the PDA greatly exaggerated? For what is a PDA? It’s a digital platform sans the capability of a cellular voice channel. My daughter got an iPod touch, but within a year we needed to get her a new phone, and it’s an iPhone. Which suggests that a device without phone capability is increasingly less feasible. But wait a minute, there are plenty of digital devices sans voice. In fact, I have one. It’s a tablet! It may have cellular data, but it certainly doesn’t have voice. And while people are suggesting that the tablet is done, I’m not interested in a phablet, as I already have a problem with a phone in my pocket (putting me in the fashion faux pas category of liking a holster), and I think others want something smaller that they can have all the time. So, I’ve argued elsewhere that mobile devices have to be handheld, and that tablets have usage patterns different than pocketables. But I think in many instances tablets do function as personal digital assistants, when you’re not constrained by space. There are advantages to the larger screen. So, while I think the pocketable version of the PDA is gone (since having a phone and a PDA seems redundant), the non-phone digital assistant is going to persist for the larger form factor. What am I missing? A number of years ago I wrote a series on design heuristics that emerged by looking at our cognitive limitations and practices from other field. One of the practices I covered briefly in one of the posts was egoless design, and a recent conversation reminded me of it. The context for this is talking about how to improve our designs. 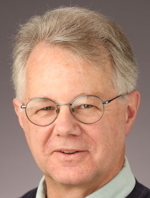 One of the things from Watts Humphrey’s work on software design was that if we don’t scrutinize our own work, we’ll have blindspots that we’re unaware of. With regular peer review, he substantially improved code quality outcomes. Egoless programming was all about getting our ego out of the way while we worked. This applies to instructional design as well. Too often we have to crank it out, and we don’t test it to see if it’s working. Instead, if it’s finished, it is good. How do we know? It’s very clear that there are a lot of beliefs and practices about design that are wrong. Otherwise, we shouldn’t have this problem with elearning avoidance. There’s too much bad elearning out there. What can we do? One of the things we could, and should do, is design reviews. Just like code reviews, we should get other eyes looking at our work. We should share our work at things like DemoFest, we should measure ourselves against quality criteria, and we should get expert reviews. And, we should set performance metrics and measure against them! Of course, that alone isn’t good enough. We have to redesign our processes once we’ve identified the flaws, to structure things so that it’s hard to do bad design, and doing good design flows naturally. And then iterate. If you don’t think your work is good enough to share, you’re not doing good enough work. And that needs to change. Get started: get feedback and assistance in moving forward. Just hearing talks about good design isn’t a bad start, but it’s not enough. You’ve got to look at what you are doing, get specifically relevant feedback, and then get assistance in redesigning your design processes. Or you won’t know your own limitations. 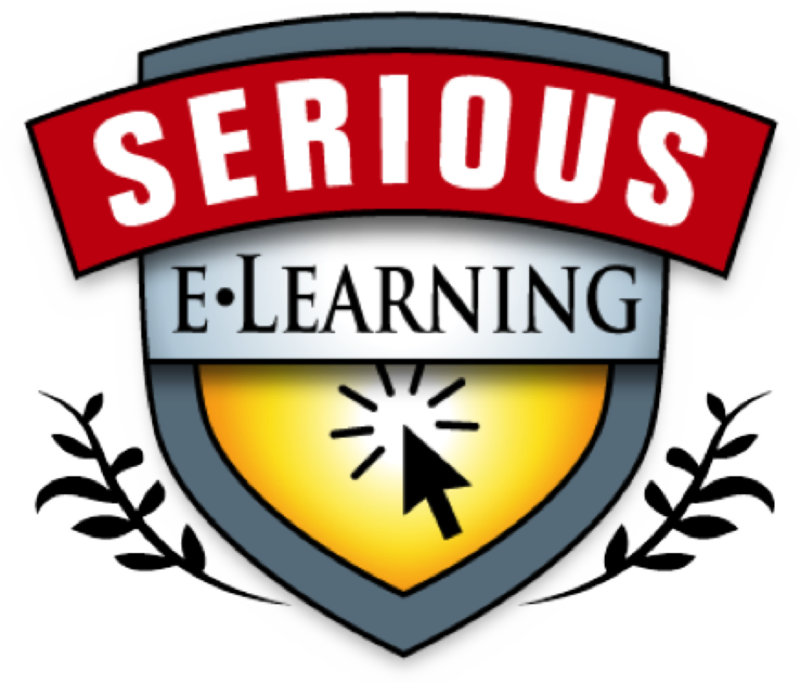 It’s time to get serious about your elearning; do it as if it matters. If not, why do it at all? My latest tome, Revolutionize Learning & Development: Performance and Innovation Strategy for the Information Age is out. Well, sort of. What I mean is that it’s now available on Amazon for pre-order. Actually, it’s been for a while, but I wanted to wait until there was some there there, and now there’s the ‘look inside’ stuff so you can see the cover, back cover (with endorsements! ), table of contents, sample pages, and more. Ok, so I’m excited! By itself, it’s not the whole answer, for several reasons. First, it can’t be. I can’t know all the different situations you face, so I can’t have a roadmap forward for everyone. Instead, what I supposed you could think of is that it’s a guidebook (stretching metaphors), showing suggestions that you’ll have to sequence into your own path. Second, we don’t know all yet. We’re still exploring many of these areas. For example, culture change is not a recipe, it’s a process. Third, I’m not sure any one person can know all the answers in such a big field. So, fourth, to practice what I’m preaching, there should be a community pushing this, creating the answers together. A couple of things on that last part, the first one is a request. The community will need to be in place by the time the book is shipping. The question is where to host it. I don’t intend to build a separate community for it on the book site, as there are plenty of places to do this. Google groups, Yahoo groups, LinkedIn…the list goes on. It can’t be proprietary (e.g. you have to be a paid member to play). Ideally it’d have collaborative tools to create resources, but I reckon that can be accommodated via links. What do you folks think would be a good choice? The second part of the community bit is that I’m very grateful to many people who’ve helped or contributed. Practitioner friends and colleagues provided the five case studies I’ve the pleasure to host. Two pioneers shared their thoughts. The folks at ASTD have been great collaborators in both helping me with resources, and in helping me get the message out. A number of other friends and colleagues took the time to read an early version and write endorsements. And I’ve learned together with so many of you by attending events together, hearing you speak, reading your writings, and having you provide feedback on my thoughts via talking or writing to me after hearing me speak or commenting on my scribblings here. The book isn’t perfect, because I have thought of a number of ways it could be improved since I provided the manuscript, but I have stuck to the mantra that at some point it’s better out than still being polished. This book came from frustration that we can be doing so much better, and we’re not. I didn’t grow up thinking “I’m going to be a revolutionary”, but I can’t not see what I see and not say something. We can be doing so much better than we are. And so I had to be willing to just get the word out, imperfect. It wasn’t (isn’t) clear that I’m the best person to call this out, but someone needs to! That said, I have worked really hard to have the right pieces in place. 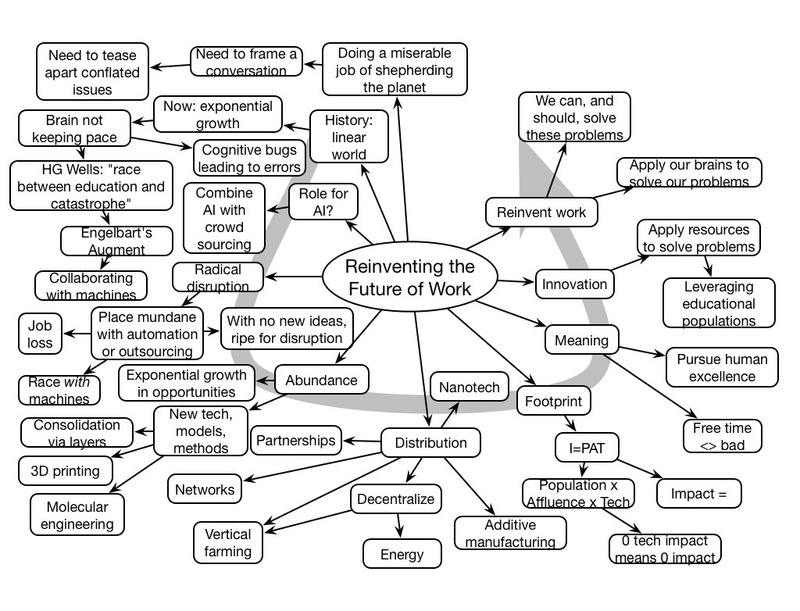 I’ve collected and integrated what I think are the necessary frameworks, provided case studies and a workplace scenario, and some tools to work forward. I have done my best to provide a short and cogent kickstart to moving forward. Just to let you know that I’m starting my push. I’ll be presenting on the book at ASTD’s ICE conference, and doing some webinars. Bryan Austin of GameOn Learning interviewed me on my thoughts in this direction. I do believe in the message, and that it at least needs to be heard. I think it’s really the necessary message for L&D (in it, you’ll find out why I’m suggesting we need to shift to P&D!). Forewarned! I look forward to your feedback.